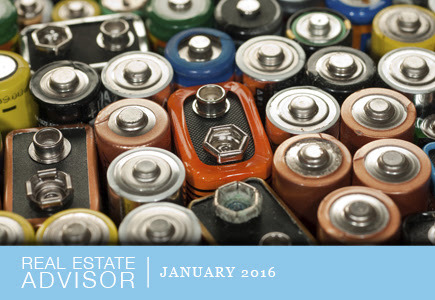 Common Household Hazardous Waste and What to do With ThemWe want to believe our homes are as safe as they can be, and for the most part they are. But there are items we use every day that are in fact hazardous. Knowing what products are hazardous, and the proper ways of disposing household hazardous waste, is not only good for the environment, but it will help you feel even safer in your home. We all use batteries in our homes, and most of those will be the regular alkaline batteries purchased at the grocery or hardware store. These batteries can be thrown away in the garbage once used, but it is suggested that if you have the ability to recycle them you do so. But should you have different batteries in your home, like rechargeable batteries, automotive batteries, or lithium, lithium ion or zinc air, these should definitely be recycled through a proper facility as the contents inside the batteries are toxic and harmful to humans, animals and the environment. 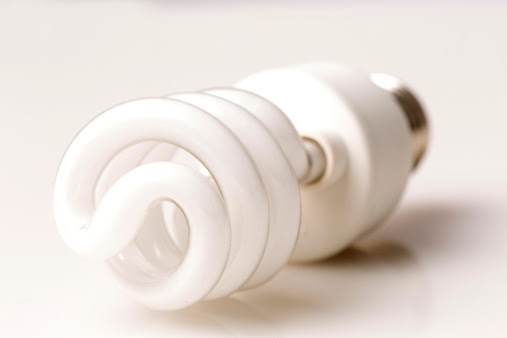 Touted as a great way to save energy, compact fluorescent bulbs (CFLs) became popular in the mid-2000s and they continue to be a top choice for American households. But while these bulbs provide energy and money saving opportunities for homeowners, they do contain mercury, which is known to be a potent developmental neurotoxin. Because of the mercury in the bulbs, it’s best to not put them in the garbage, as they can end up in landfills (or end up outside landfills) and contaminate the environment. Recycle CFLs at your local hardware store (the larger retailers have places to put used bulbs) or contact your local jurisdiction to find out the best way of recycling your used CFLs. Should a CFL break in your home, wear gloves to pick it up, and contact your local hazardous waste disposal company to ask for information on disposing of the broken bulb. Many household cleaners are considered corrosives, which means they can cause skin damage or corrode metal. Because of this, there should be caution when using them and when they are discarded. Yes, some corrosives are used in drains, but that doesn’t mean you should pour corrosives down the drain to get rid of them. If you need to dispose of corrosives, it’s best to bring them to a place that will dispose of household hazardous waste for you, and be sure to wear gloves and protective eye wear whenever handling corrosives. If you have a yard, it’s likely you’ve used a pesticide or herbicide before. 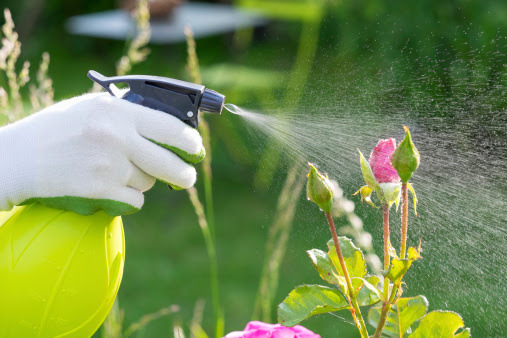 While these chemicals can come in handy when battling weeds or common yard pests (bugs and other insects), they are generally very toxic to humans and animals (especially pets!). When handling pesticides and herbicides, make sure you protect your eyes, face, arms and hands with gloves and a mask or goggles, and should you need to dispose of these chemicals it is best to bring them to a hazardous waste drop-off site. Whatever you do, don’t put these items in the garbage or dump them into a drain or onto the street. We don’t often think of old electronics as waste, but that old computer or outdated television that’s been sitting in your garage for a few years is definitely waste. 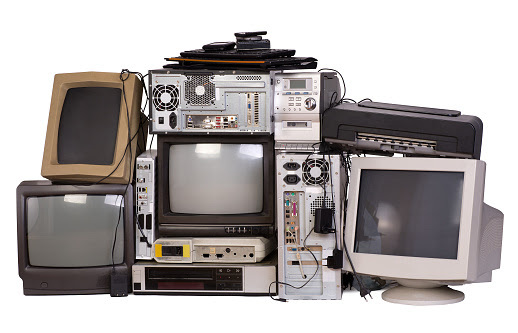 Electronic waste (also known as e-waste) can come in many forms: cell phones, computers, televisions, VHS and DVD players, and anything else that is an electronic. While we may be inclined to just throw these items into the garbage can, many of these items contain hazardous materials within them, like lead or mercury, and they require special recycling. Should the materials in them get into the ground or find their way into a water system, it would be detrimental to the local environment. You can do a general Internet search to find companies that are more than willing to take any old electronics you might have in your home. Aerosol cans come in many shapes and sizes, and whether they contain oil for greasing baking pans or WD-40, cans that are full or partially full have the ability to explode if punctured or exposed to heat. Empty aerosol cans can be put in the garbage, as long as they are indeed empty of contents, but if they are not, it’s best to take cans to a household hazardous waste drop-off point, especially if they contain chemicals or anything flammable in them. If you have a garage and a car, it’s likely you might have some automotive products; you might even have some if you have yard equipment like a lawn mower or a blower. 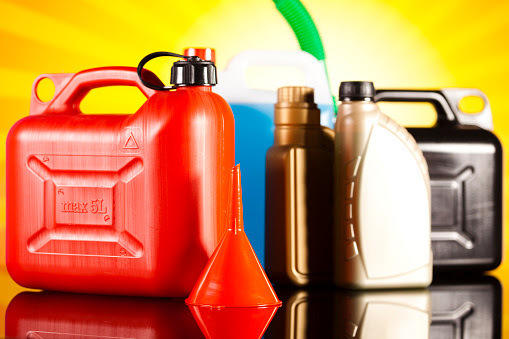 Automotive products (fuel, oil and other fluids) can be highly flammable, and all of them are not safe to dispose of in a garbage can or in an outdoor drain. Because of their designations as hazardous materials, these fluids should be taken to a hazardous waste facility when being disposed of to ensure that they’re being properly taken care of.